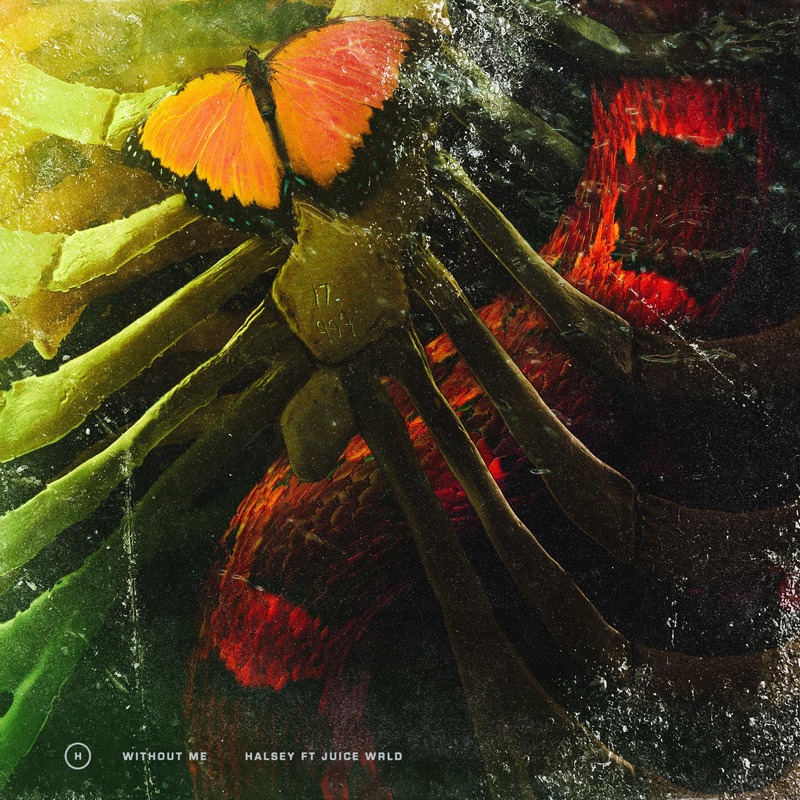 09 JANUARY 2019 (TORONTO, ON) - GRAMMY® Award-nominated, multi-Platinum artist Halsey has teamed up with Juice WRLD to release a new version of her chart-topping, 2x Platinum hit “Without Me.” It is available now on all digital streaming platforms and “Without Me ft. Juice WRLD” can be streamed HERE and the static video can be seen HERE. The pre-order has also launched for the 7” vinyl edition of “Without Me.” The A-side will feature the original version of the single and the B-side will contain “Without Me – (ILLENIUM REMIX).” Fans who pre-order the vinyl HERE will immediately receive downloads of “Without Me” plus “Without Me – (ILLENIUM REMIX)” and “Without Me ft. Juice WRLD” upon purchase. Released by Capitol Records/Universal Music Canada, “Without Me” is Halsey’s first new solo material since the 2017 Platinum-certified album hopeless fountain kingdom, which debuted at No. 1 on the Billboard 200. Awarded four stars by Rolling Stone, it contained such hits as the 2x Platinum “Now or Never” and the 3x Platinum “Bad at Love.” "Without Me" comes on the heels of the 2x Platinum-certified hit “Eastside” with Benny Blanco and Khalid, which has earned over one billion cumulative streams. The track was the follow up to her 2x Platinum single with G-Eazy, “Him & I,” which reached No. 1 on Billboard’s Pop Songs Airplay Chart and No. 1 at Top 40 radio.